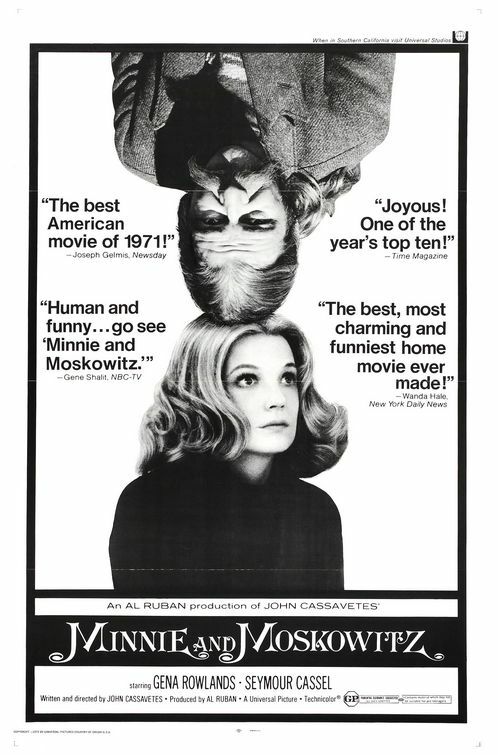 Minnie and Moskowitz is a film by John Cassavetes, starring his wife, Gena Rowlands, and actor Seymour Cassel in the title roles of Minnie and Moskowitz, respectively. Following a break-up, Minnie Moore, a museum curator, becomes disillusioned by love and meaningful relationships. 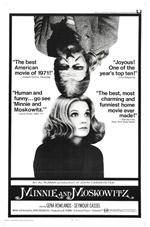 But after a seemingly chance encounter, she meets Seymour Moskowitz, a parking-lot attendant. After this event, Moskowitz falls in love with Minnie, trying desperately to get her to love him back.